Clear Acrylic Tray (14”W x 18”L x 2”H) | Jackie Glass Inc.
As a Designer, I often use trays to organize my clients’ accessory items. This elegant Jackie Glass Essentials acrylic tray is a personal favourite of mine. 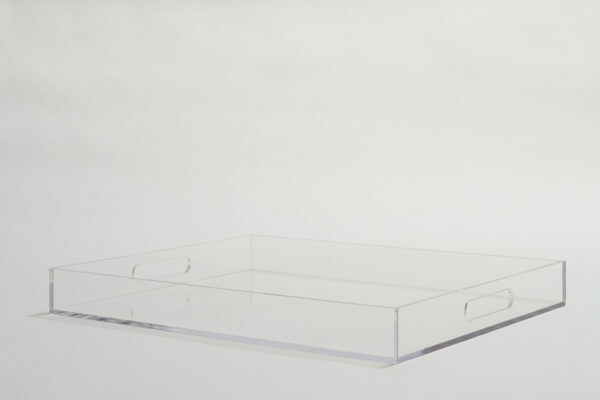 Use this versatile clear acrylic tray with handles for serving, decorating, organizing and so much more. 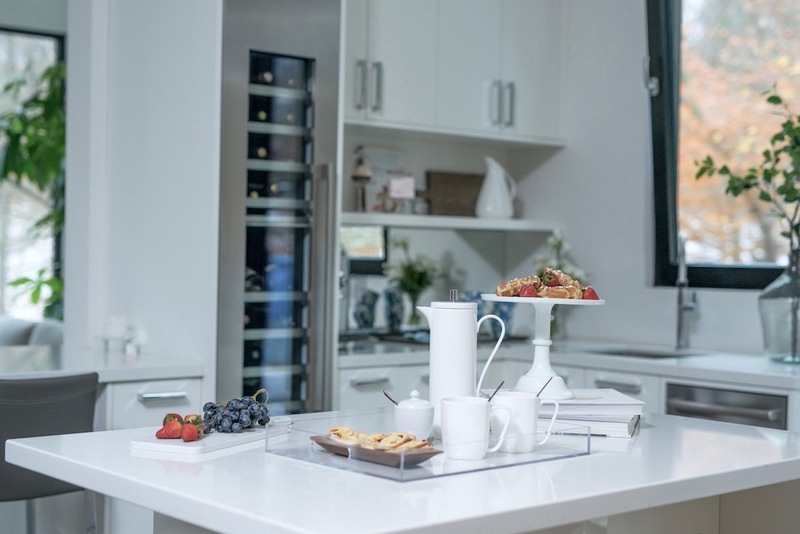 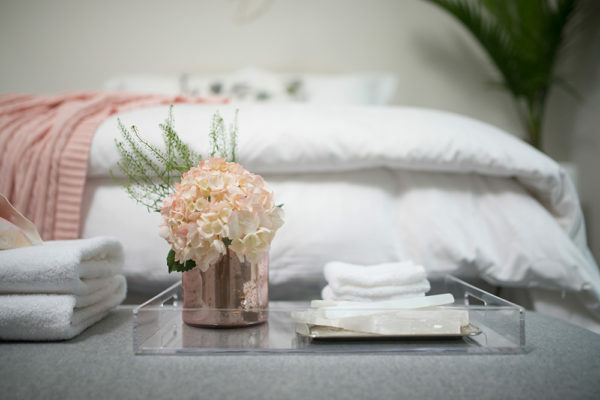 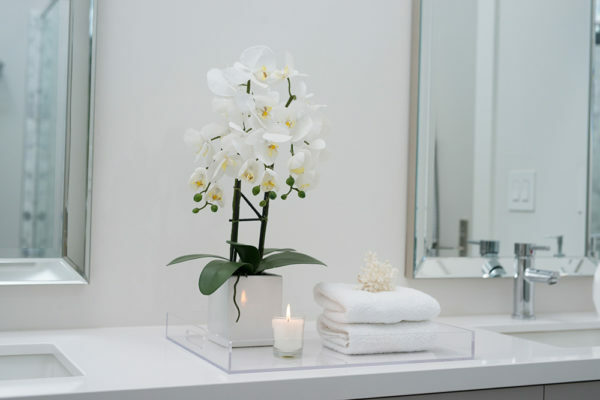 Decorate a guest room or bathroom using the tray to hold towels, soaps and candles; keep one on the kitchen counter to contain oils and seasonings; display plates, glassware & bottles on the tray on a bar cart or use multiple trays to organize office supplies. This classic clear tray is perfect for creating a striking coffee table display composed of books, decorative objects and a vase of seasonal florals and greenery. 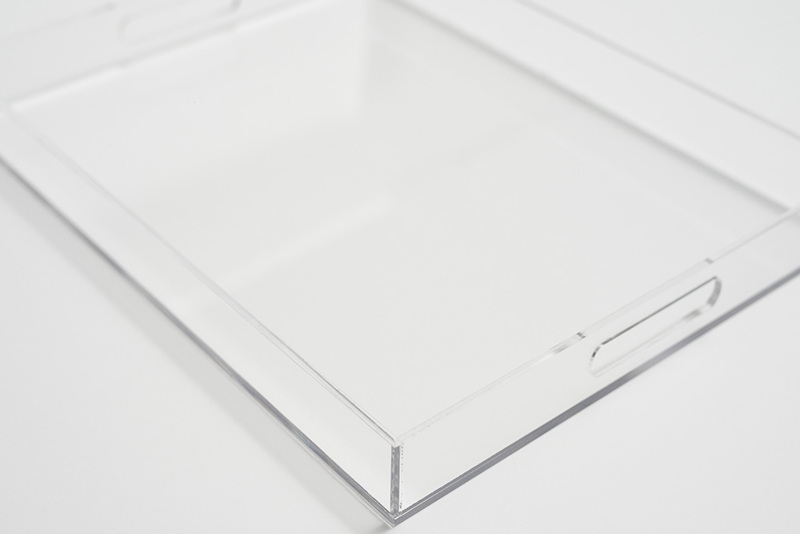 Made of clear acrylic, this timeless decorative tray is as beautiful as it is functional providing you with years of use and enjoyment.